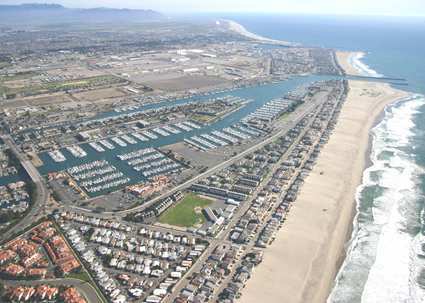 Oxnard California Beaches - Things to do! Oxnard is well known for its strawberries. It is California's biggest strawberry producer, supplying about 1/3 of the state's annual strawberry volume. From April through June, up to 10 million pint baskets are shipped daily. Wow! That's a lot of strawberries! The California Strawberry Festival is held every year at Oxnard College featuring vendors as well as food items based on the fruit. You'll find stuff like strawberry sundaes, strawberry funnel cake, strawberry champagne and crazy foods like strawberry pizza and strawberry nachos! Click on each Hotel to find the best deal, compare prices, and read what other travelers have to say about these. I have not personally stayed at any of these hotels so please read the reviews before booking your trip. I did stay in the Honeymoon Suite at the Embassy Suites Mandalay Beach Hotel & Resort. It was fabulous! It had a separate living room, bedroom, kitchen and an all marble bathroom. We stayed on the ground floor and the sand literally touched our outdoor patio area. That was over 20 years ago so please check the reviews by clicking on the link above.